NECTA BRIO 3 Espresso Coffee machine compatible con Lavazza Blue® system. 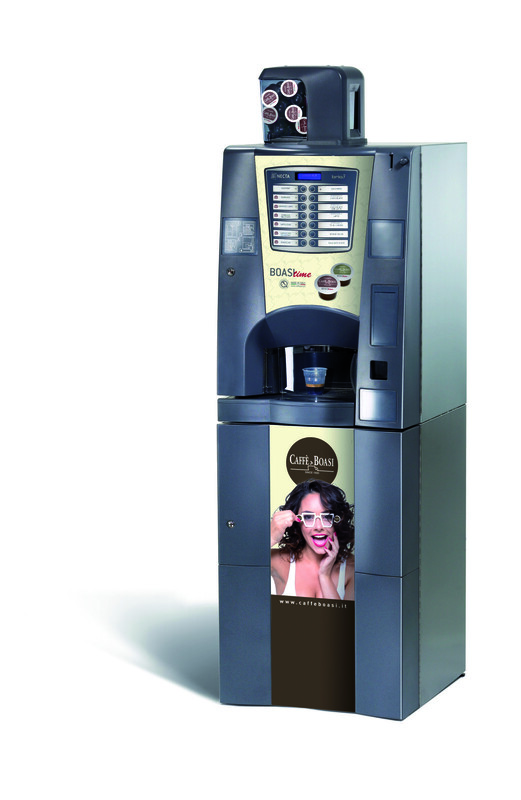 NECTA offers to its customers a tabletop vending machine capable of supplying espresso using self-preserving capsules (Boasi Time). Brio 3 WayCap is a reliable machine dedicated to quality beverages preparation, perfect for small and medium-sized locations. Brio 3 WayCap: the quality of Necta, the aroma of your favourite espresso.